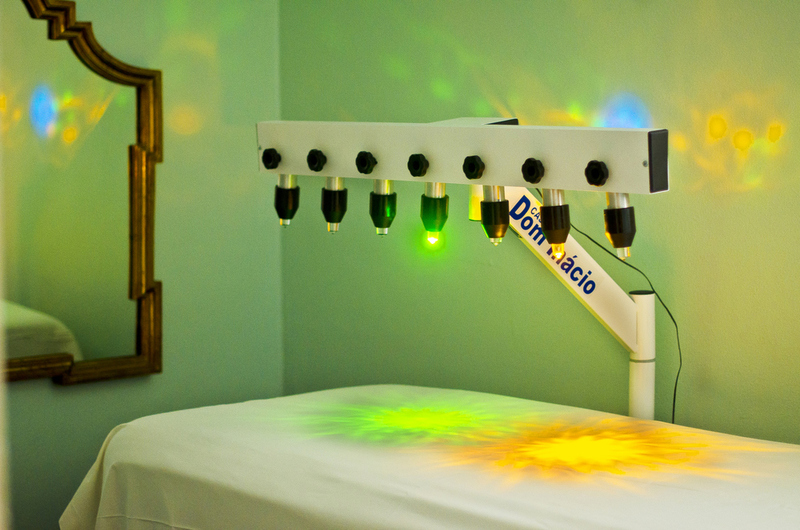 The crystal lamp is an advanced chromotherapy machine that consist of 7 colored beams of light that radiate through 7 precisely cut quartz crystals. They align with and correspond to the 7 chakras of the body. The alternating lights clear and balance the chakras as you lay beneath them with your eyes closed and meditate to relaxing music. Some of the benefits of the crystal lamp sessions are; feeling more energized and more relaxed, gaining a deeper spiritual understanding of oneself and one's life situations, and developing an increased overall sense of health and well-being. It is suggested to start out using the crystal healing lamp 3 times a week for the first week and thereafter to use it once a week to help maintain a balanced energy field. Packages are sold to help make the sessions affordable for everyone.